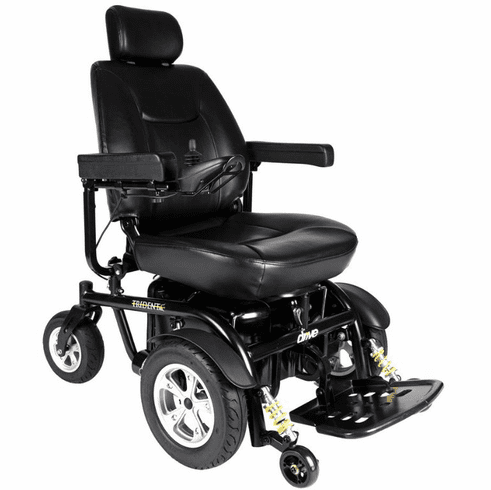 The Trident Front Wheel Drive Power Chair by offers a stylish, durable, and reliable performance chair all in one. 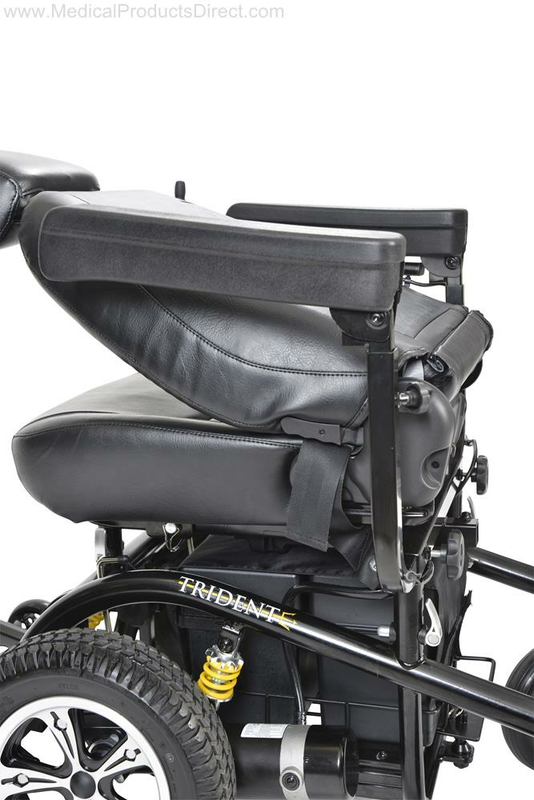 The power chair comes with adjustable height, width, and angle, padded arms, allowing for more customization options that conform to any user as well as a semi reclining back with a headrest for maximum comfort and support. 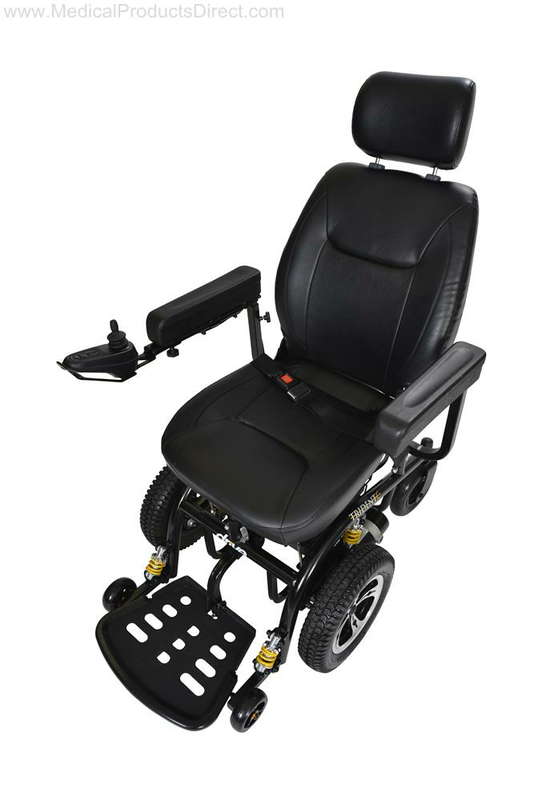 The 18" seat even has the option of being adjusted forward or back for proper comfort positioning. 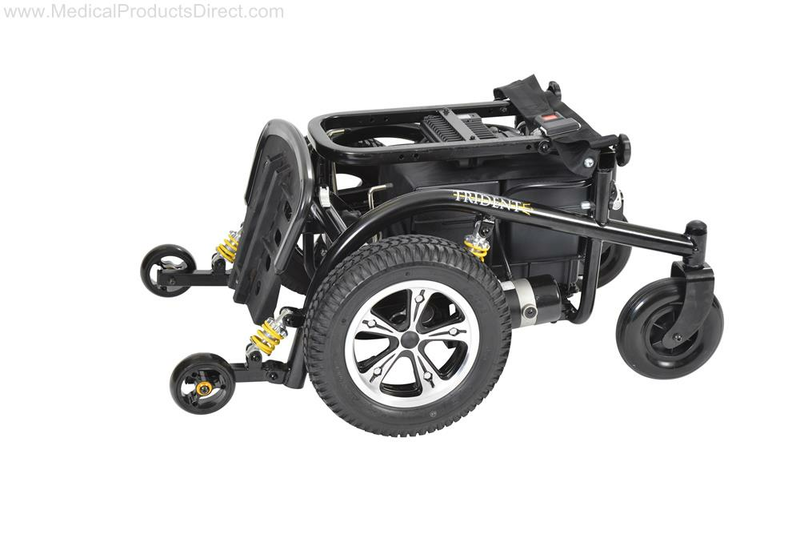 The front wheel drive provides great power and navigation capability allowing for a smooth ride at all times, while the suspension anti-tippers provide a safe experience. 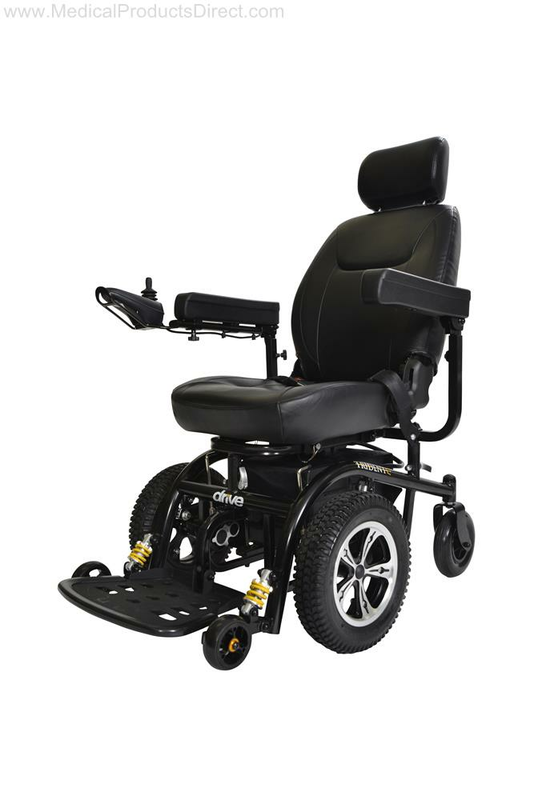 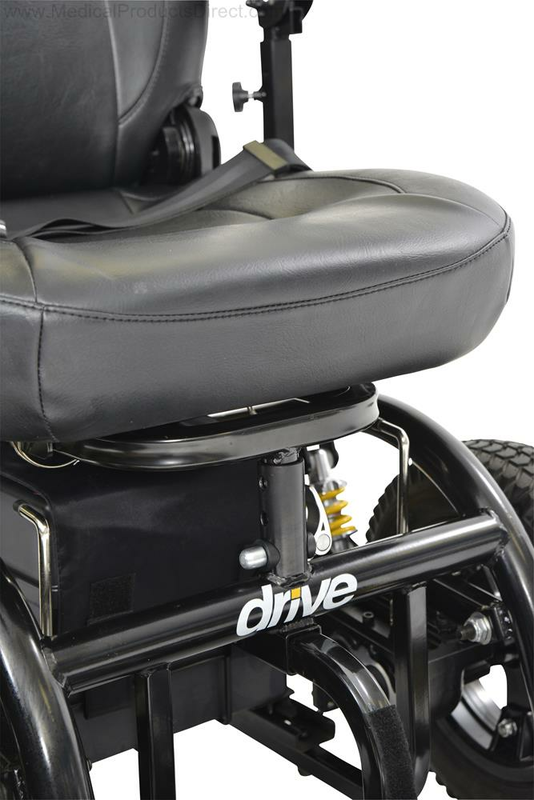 The Trident Front Wheel Drive Power Chair is the ideal chair for anyone looking for a high performance power wheelchair. 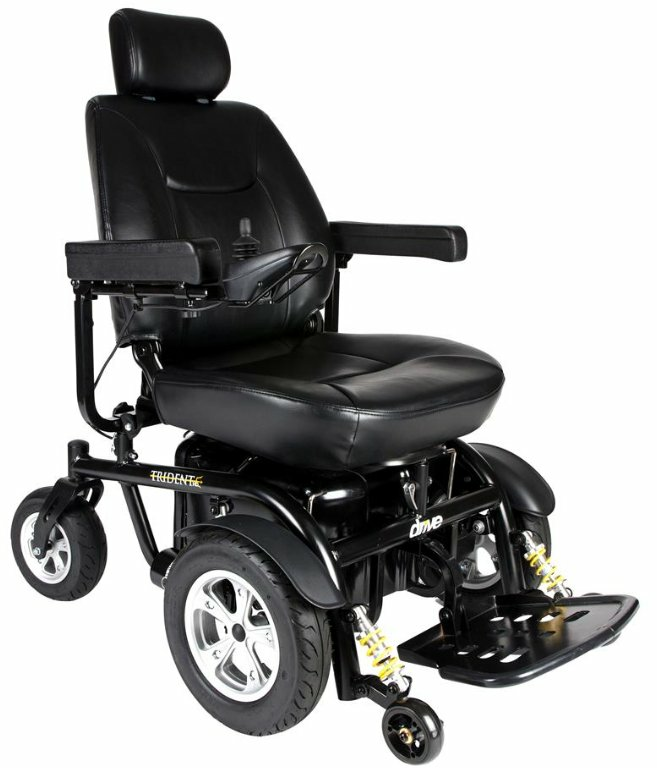 Seat to Floor Height: 21"-24"
Seat to Foot Deck: 16.5"-19.5"